Gary Koehnke, WSAH Treasurer, 931 Beta Drive, Neenah, WI 54056-1357. 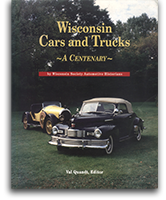 A Centenary” and produced the video “A Walk Through Automotive History With Chet Krause.” Chet is the founder of Krause Publications (now F+W Media), publishers of Old Cars Weekly, and he is the founder of the Iola Car Show. 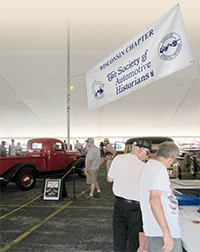 are planning professionally produced videos of some prominent Wisconsin automotive-related personalities, collectors, collections, and businesses.